“The concert hall at the Sydney Opera House holds 2,700 people. This blog was viewed about 16,000 times in 2014. If it were a concert at Sydney Opera House, it would take about 6 sold-out performances for that many people to see it”. Readers from 126 countries around the world viewed our site. We are fortunate to have readers like Stephen Liddell in England and Larry Gingery in Ukraine who write comments and share thoughts and encouragement. Thanks, Stephen and Larry and over 100 people following Boyer Writes. These years of writing have been some of my happiest and you will continue to hear from us as we are inspired in the areas of The Arts, History, Inspiration and much more. In 2014, we wrote 106 new posts, growing our total archive for Boyer Writes to 468 posts. Our most read writing had to do with a mystery about World War II. WHAT HAPPENED TO SS. 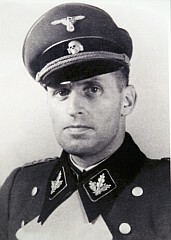 GENERAL HANS KAMMLER? This year, 2015, I plan to continue writing my historical fiction using this interest in General Hans Kammler as a background for my book. You will be the first to know when it is published. This entry was posted on December 30, 2014 by Boyer Writes. It was filed under Boyer Writes, World Wars and was tagged with Boyer Writes, Boyer Writes Annual Report, fiction, General Hans Kammler, History, WWII. It’s always a pleasure to read your posts. They’re always of a high standard and usually thought provoking too. Happy New Year to you and all your readers and best of luck with the book!